I'm a pretty much straight up eggnog drinker while my wife typically has to thin it out with some extra milk. I kind of like the thick texture and smooth vanilla after taste. We honestly probably only buy it once or twice after that initial time and I'm not sure why I never thought of trying to make it myself before either. 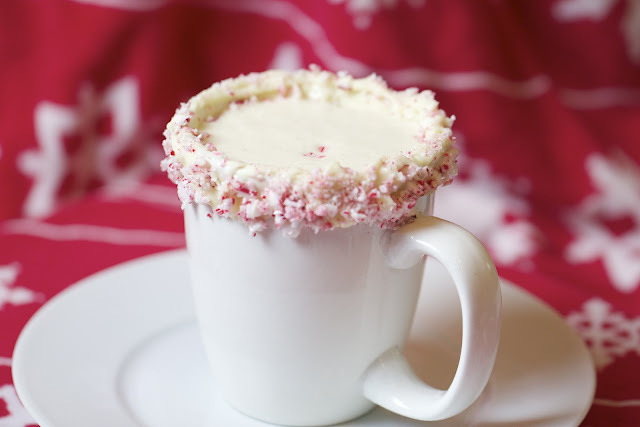 Since I'm apparently on a peppermint kick this month and after how wildly popular my peppermint bark cookies were, I thought I'd give this a little holiday kick too. I put just enough peppermint extract to give it the fresh invigorating feel of peppermint without being overwhelming. 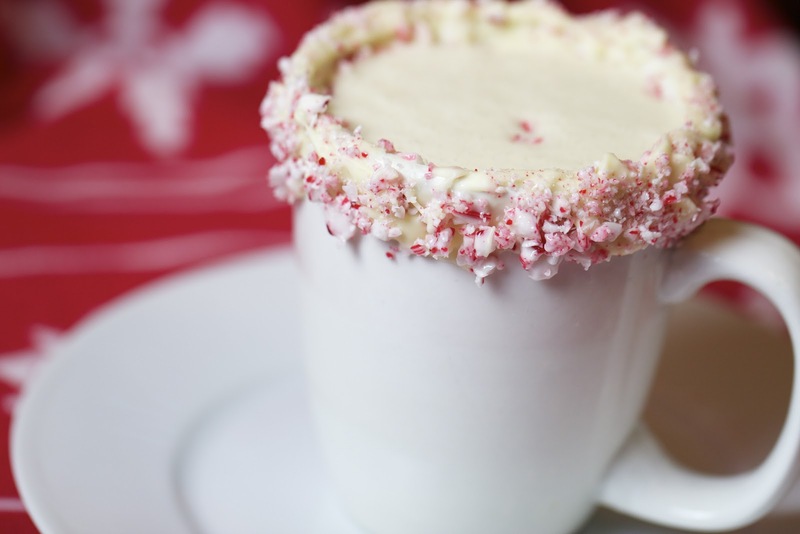 he candy coated rim of the mug though makes sure you know it's peppermint and the crunch of the candy is the perfect way to make eggnog even better. If you have to be a traditionalist, go ahead and leave the peppermint extract out but I know you'll still want the candy around the mug though right? In a mixer, beat the egg yolks until they become light yellow and fluffy. Slowly add the 1/3 cup of sugar and continue beating until smooth and the sugar is dissolved. 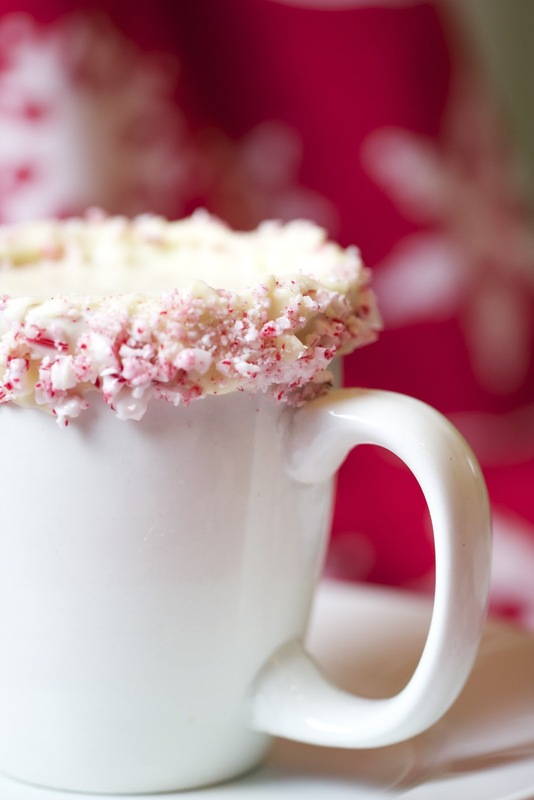 In a medium pan, heat the milk, cream, vanilla, peppermint and nutmeg until it just starts to simmer. Slowly pour the hot milk mixture into the eggs, whisking constantly to keep it from cooking the eggs. Pour the egg mixture through a sieve back into the pan and cook over medium heat until it is 160 degrees. Chill the mixture completely. In a mixture beat the egg whites until they have soft peaks. Add the tablespoon of sugar and continue beating until stiff peaks form. Whisk the egg whites into the chilled egg mixture. 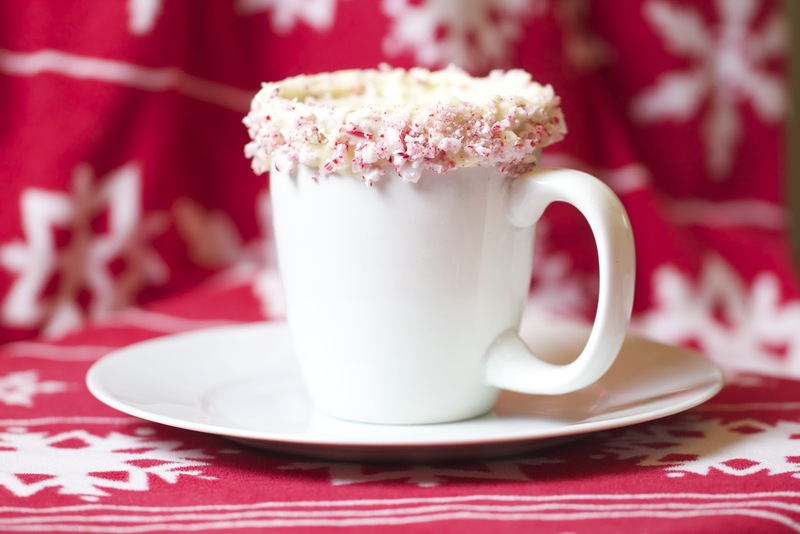 Dip a mug into a small amount of white chocolate and then sprinkle with crushed candy cane pieces. Chill the mug for 5 minutes. Fill with eggnog and serve. Looks wonderful! I love peppermint everything and I would totally be eating the candy off of the cup! I love the candy cane rim! Để nhân viên làm việc tập trung cao độ hơn trong công việc thì hiện nay, rất nhiều công ty đã chọn vach ngan di dong . Làm sao để chọn được loại vách ngăn phù hợp nhất, hãy cùng chúng tôi chia sẻ cho bạn điều đó ngay bây giờ. I'm not an eggnog fan but I want to give this a try!